My youngest sister Lindsey is what I would call paper artist. The cards, banners, scrapbook pages, 3D paper projects, etc. that she creates are so intricate and absolutely beautiful. My other younger sister, Jyl, is an amazing cake artist which I will be blogging about in a future post. With Valentine's Day right around the corner I thought that it would be the perfect time to share some of Lindsey's amazing Valentine's Day Card Creations. The thing that I LOVE about Lindsey's handmade cards, is how diverse she is in her style and techniques. Believe me, she really think about each card she makes and puts so much time and effort into them. One of the great things about having Lindsey as my sister, is the fact that we get to be spoiled with receiving her beautiful creations in the mail. Not only is Lindsey extremely creative, she is is also a very thoughtful, smart, and all around genuinely kind person. I am blessed to have two amazing sisters in my life. Lindsey frequently shares all of her wonderful creations on her blog, Occasional Crafting (occassionalcrafting.blogspot.com). 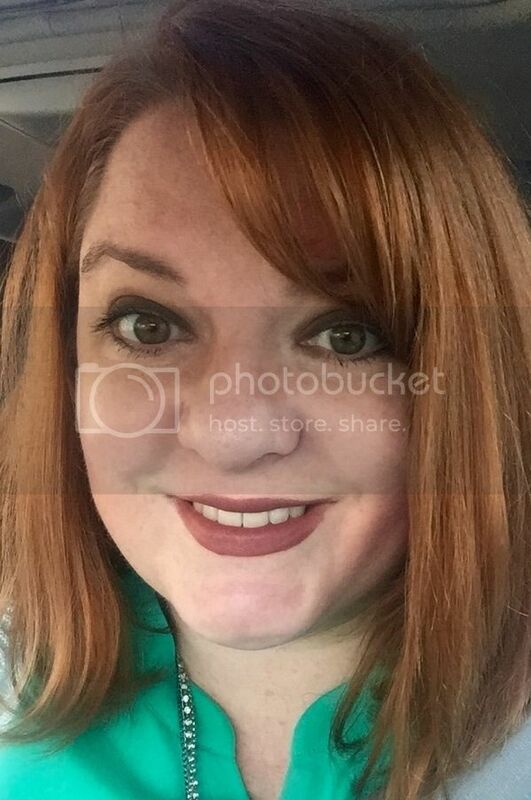 Feel free to pin away, but please pin Lindsey's cards from her blog. I hope you will be as inspired as I am by her creations. Oh, and don't forget to give her some love by leaving her a comment! I am absolutely IN LOVE with this card. Seriously, in love! Yes, Lindsey cross-stitched the "LOVE" sentiment on the front. Amazing, I know! To me it has such a fun vintage charm, with a modern update. 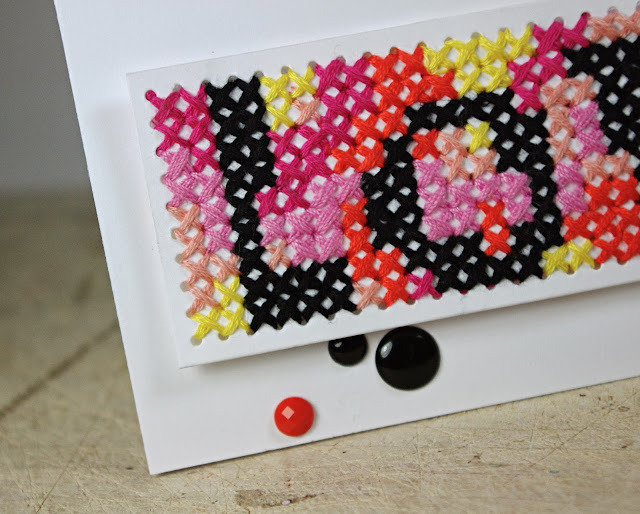 Click Here to see this fabulous cross-stitch card up close and personal. I love the simplicity of this card, yet if you look closely the X and O's are all made from sequins. Brilliant. Oh how I LOVE the design on this card. I like the contrast between the black, white, and pink. Click Here for more details. 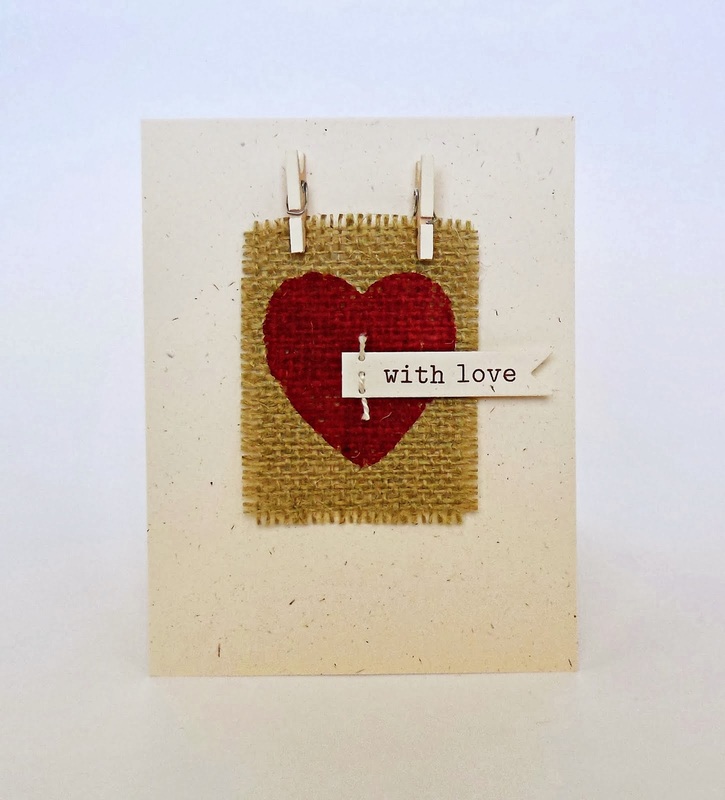 Click Here to see this darling textured Valentine's Card. Look at the stitching detail! 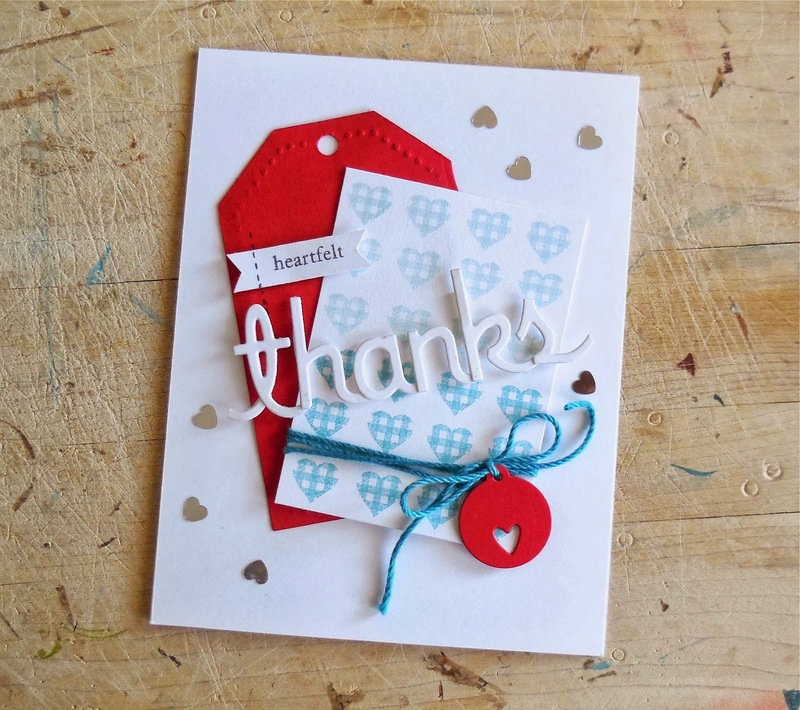 I love this "Heartfelt Thanks" card you can find HERE. Who wouldn't love receiving this in the mail? 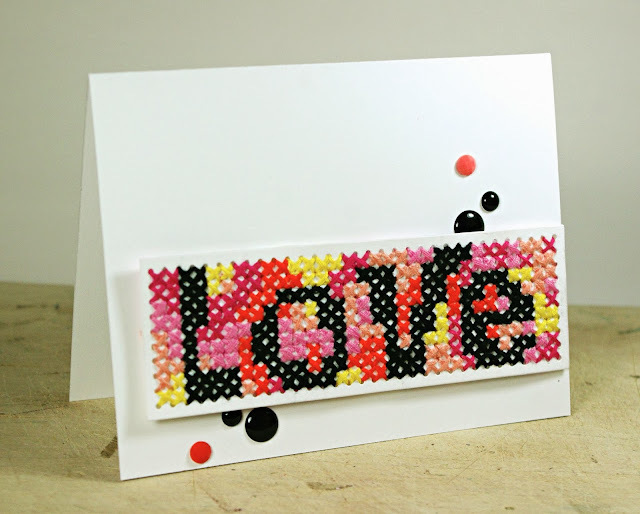 What a fun paint splatter technique to add a unexpected detail to your card. Click Here to see this card. 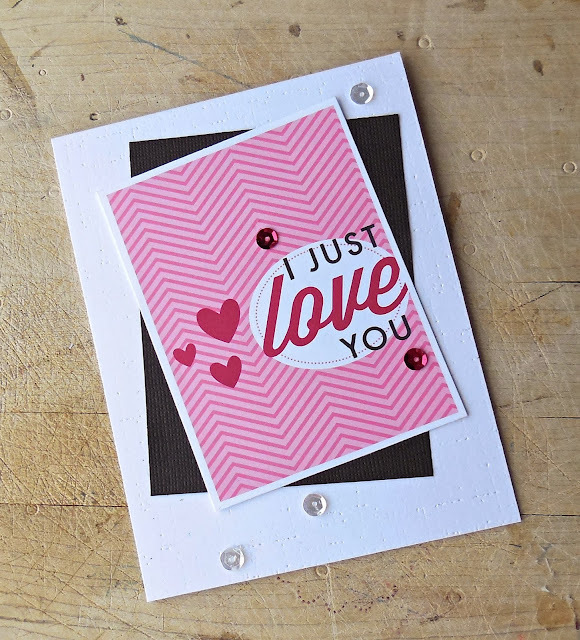 Here is a fun card that gets even your littlest ones involved in making Valentine's Cards. You can find all of the adorable details HERE. We just happened to receive one of these adorable cards made by my nephew last year. This Valentine Milk Carton just screams cuteness. Hurry, go check all of the details HERE. Most of my family and my husbands family live in Virgina, which is too far away from where we live. Boo...Hoo...! My husband and I are both fortunate to have wonderful families that we love dearly. O.K., back to this darling card set. Love the chevron designed card and of course I adore the "Thinkin' of You" card below. Want to see more of this card? Of course you do! CLICK HERE! Can cute even be the best word to describe these cards? You can check out these cards HERE. How about making your own stamp to create your card? 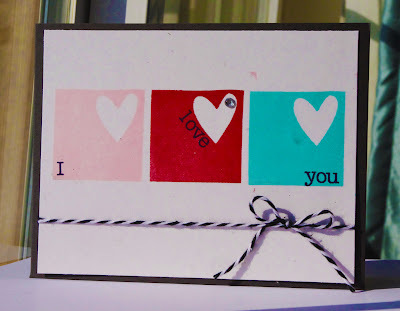 Click Here to find out how she made this neat heart stamp. 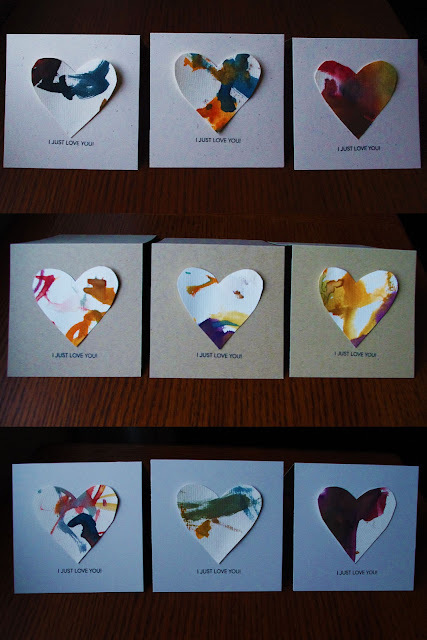 Now this is just a teaser of all of the other amazing cards my sister designs and creates. Head on over to her blog to see more! While you are there, check out some of Lindsey's used and new stamps and die cuts sets she is selling. They won't last long. 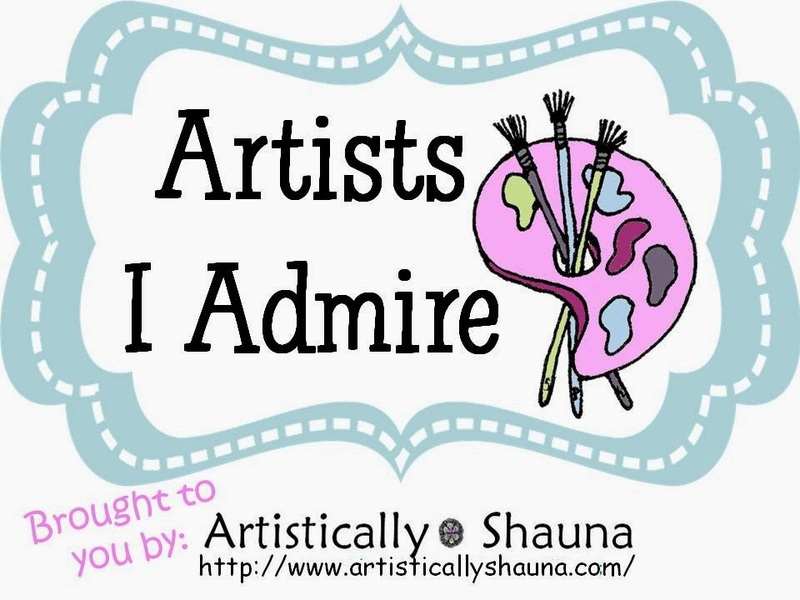 Want to be considered to be a featured artist on my blog? I love art of ALL kinds. Send me an e-mail. You can find my contact information on the top of my blog. 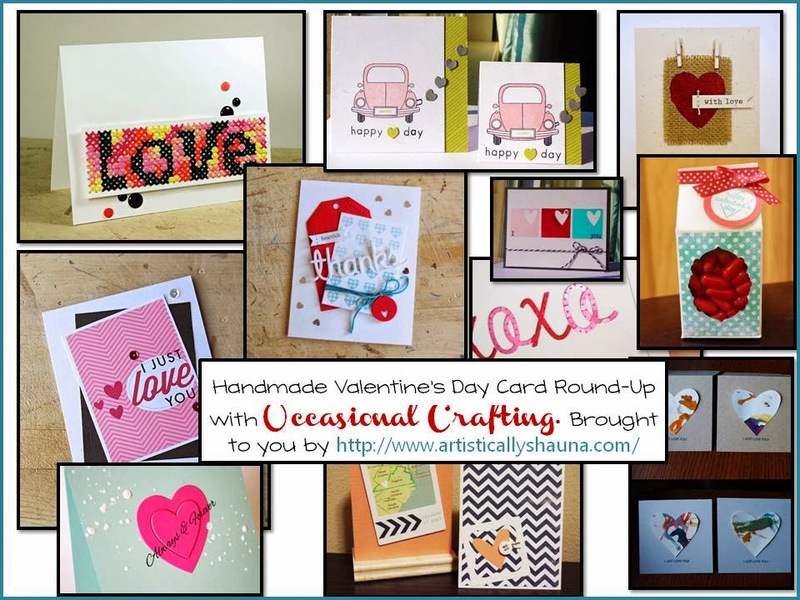 This "Handmade Valentine's Day Card Roundup with Occasional Crafting" first appeared on my blog, Artistically Shauna, on Feb, 10, 2014. I have been a huge fan of Lindsey's for a long time! She is a super duper talented card makes. How fun that you two are sisters! Thanks, Shauna! What a surprise to see this! I really like the idea of featuring different artists, and you are super sweet to include me. Love you tons!